Broken Social Scene singer and six-stringer Jason Collett treats Torontonians to his Basement Revue concert series each holiday season, and this year marks the 10th anniversary of the annual event. 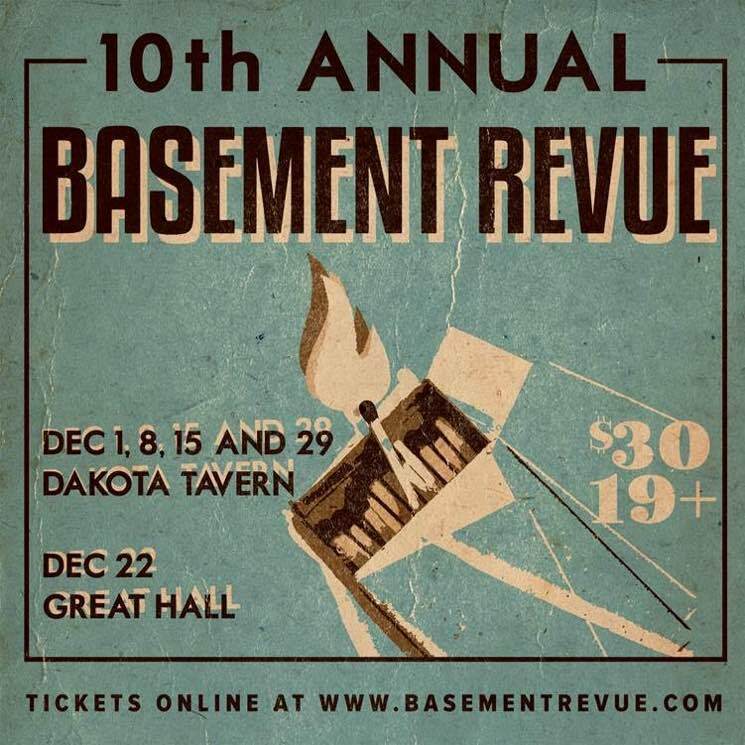 The 2016 instalment of the Basement Revue will take place over five evenings in December, with weekly Thursday night shows taking place at the Dakota Tavern on December 1, 8, 15 and 29. The festivities will shift to the Great Hall for a show on December 22. Each concert is carefully pieced together by Collett and poet, co-host and literary curator Damian Rogers. Designed as "a showcase and an incubator for Canadian culture," last year's edition featured performances, readings and discussions with Joseph Boyden, A Tribe Called Red, Gord Downie, Kevin Drew, Naomi Klein, Jennifer Castle, Lido Pimienta, Leanne Simpson and more. Previous years also features appearances from the likes of Broken Social Scene, Daniel Lanois, Rufus Wainwright, Bahamas, Hydra, Snowblink, Andy Kim, Torquil Campbell of Stars, Jimmy Shaw of Metric, Buck 65, K-OS, Tanika Charles, John K. Samson, Hayden, Whitehorse, Arkells, Bry Webb, Alvvays, Tanya Tagaq, Hannah Georgas, Charlotte Day Wilson, TUNS, and many more. Tickets are currently available for $30, and can be purchased here. Collett released his latest solo album Song and Dance Man earlier this year.